Purpose-made bedroom furniture, able to suit your project’s unique requirements, both in terms of functionality & appearance. As one of the UK’s leading manufacturers, we’re able to create a visually-striking design that matches any existing colours or materials used within the room. 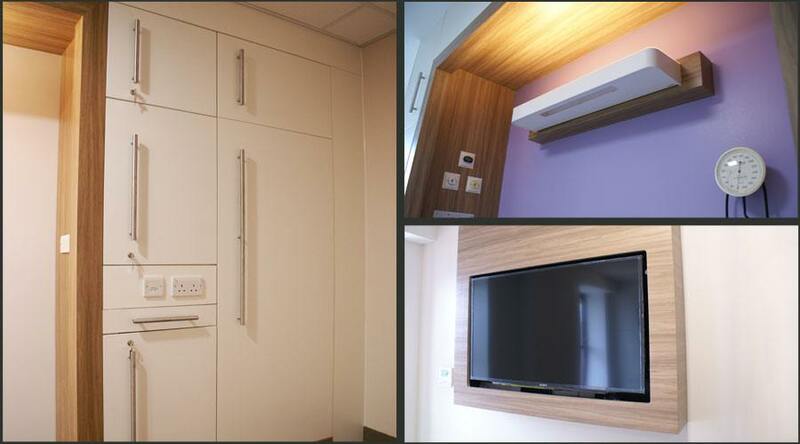 A wide-range of products available, including; feature walls, TV boxes, cupboards, and more. Nokk offers a variety of materials & textures for clients to utilise, including; natural wood finishes, glass, Tristone, Corian, a range of coloured boards, & more.